My name is Tarah. 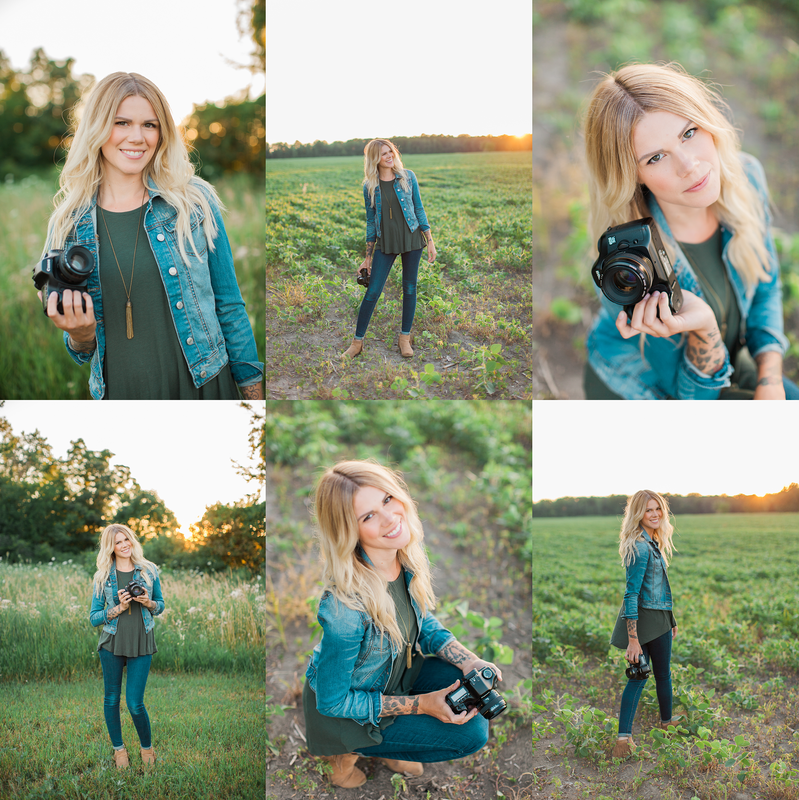 A love loving, adventure seeking, and fun having mama and lifestyle photographer! I’m so happy that you’ve stumbled upon my photography blog. It is very rare that someone can find their passion and then make a living doing it, but I have been fortunate enough to do just that. My goal is to get people excited about life and then photograph them doing just that! My photography style is different in the way that I want to photograph you being you. The over the top happy, completely in love, crazy baby chasing, wide smiled you! I love organic vibes and earthy colors. If this sounds like you, then let’s get together! Della Terra Photo loves to be involved with charitable organizations. Get a hold of us if there is anything that we can do for your organization! Hello! I’m planning a wedding this upcoming spring and you were highly recommended by one of my family members. My fiance and I would love to find out more about you! Please feel free to Email me at any time, and I can provide you with some more specifics. Thanks! My lovely friend Deanna recommended you to me. I’m desperately looking to find a photographer to take some family pics for my husbands upcoming birthday. Can you help? We are getting married May 30th, 2015. I was wondering if you could give me some pricing info for pictures. Unfortunately, we are already booked for this day. Many apologies and best wishes to you in your search for a photographer! Hi guys! I am friends with Spencer Blocher and he saw that I am looking for a photographer to take pictures for my little dance students. We have our annual recital May 30th. I am interested in either individual photos of each dancer in their costumes, photos of the dancers during classes, and/or photos taken during the recital. Most of my students are ages 3-8. I didn’t know if this is something you would be interested in taking on. Feel free to email me at DancinKidsIN@gmail.com or call 260-442-2021. Thank you! I look forward to hearing from you! My name is Cara Maroney and someone recommended you as an amazing newborn photographer. I have looked on your website and think your photos are fantastic! I am currently expecting my second child, due July 9th. However, she will most likely be born via c-section a week earlier (if she doesn’t decide to come earlier then that!). I was just wondering if you could provide some information on your newborn services and pricing, if my three year old son would be allowed to be part of some of the photos, and if you are even available around that time? Any information you could provide me would be helpful. Thanks so much for your time! Hi! My family and I just moved to the Fort Wayne area and are looking for some kind of lifestyle session. We are expecting our third child in jan and my husband wants to capture our life as a family of four before we become a family of five 🙂 could you send me info on pricing for something like that? Would like to schedule a time for us to meet and to take my engagement photos! Would like an idea of your availability. Thanks! I am planning my wedding June 18th 20`6 in fort wayne. are you available that day? would love to chat!! I am getting married next September and love your work. I was hoping You could email me with information regarding pricing and dates you are available next September. I look forward to hearing from you! 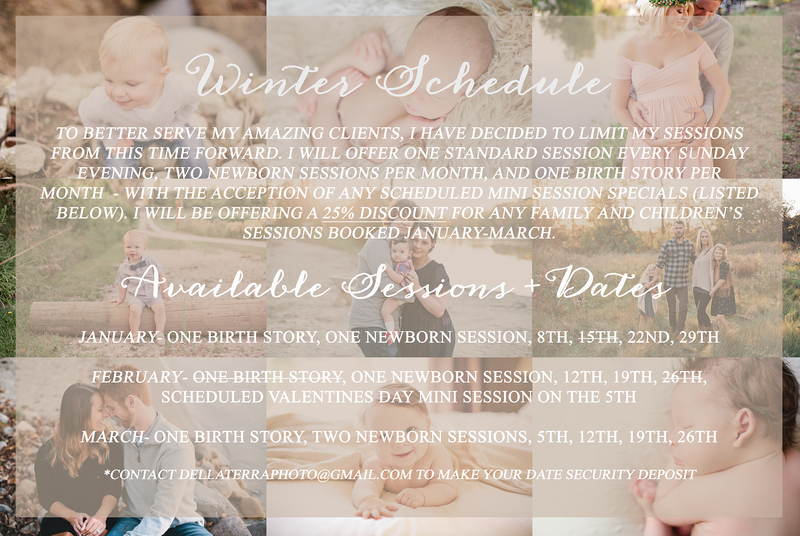 Della Terra Photo was highly recommended and I was wondering if you had any available appointments in the next couple of weekends for a family photo shoot? Tarah was one of our photographers at our wedding in 2012. She personally did my husband’s and groomsmen photos. They’re amazing. We have since become pregnant and would love to do a maternity session. We were wondering if you had any available time in the next couple of months. Due date is March 5th. Hello! I would like more information about your availability and pricing options. Our wedding will be 10/8/2016 at Swan Lake Resort in Plymouth, IN. Thank you for your time! Hi, I am getting married on June 10th 2017 and we are looking for a photographer for the wedding. If you are available on that day please email me back!